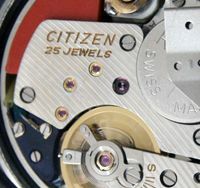 With many thanks to ‘Vlad’, I’ve just added images of his very nice 100m diver, from December 1969, to the diver reference page (https://sweep-hand.org/citizens-vintage-divers-1962-to-1980/). Both the orange and blue dialled versions of this watch are quite rare, and I am grateful to Vlad for allowing his photos to be used here. 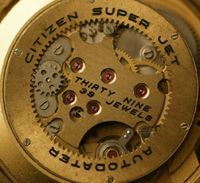 Thanks Stephen for the look at an outstanding example of an iconic watch! Hard to believe this one is nearly 50 years old. m.
Good morning Stephen, Great watch indeed! There also is a “2 tone” version of this orange dial watch with yellow. Mine dates from april 1972. If you need pics for the archive, just let me know. 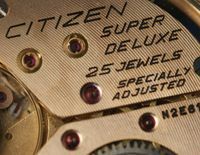 I have a blue dial version of the citizen 4-520858 that I would like to have serviced. 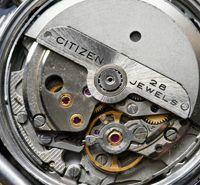 Can sweephand recommend a shop where I can send the watch for service? Thanks, Stephen. I am in Charlotte, North Carolina. 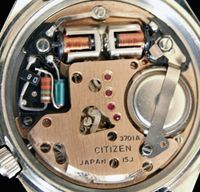 Hi Chris – I’ve been in touch with Brian Leiser, master watchmaker, and he would be able to take a look at your watch. His work is featured on this blog, so he comes with excellent recommendations. He is in Pennsylvania. I’ll email his contact details to you.